The Eco Gurus Fabric Softener makes your clothes not only pleasantly soft but also antistatic and delightfully fresh. It will give your laundry a pleasant scent. 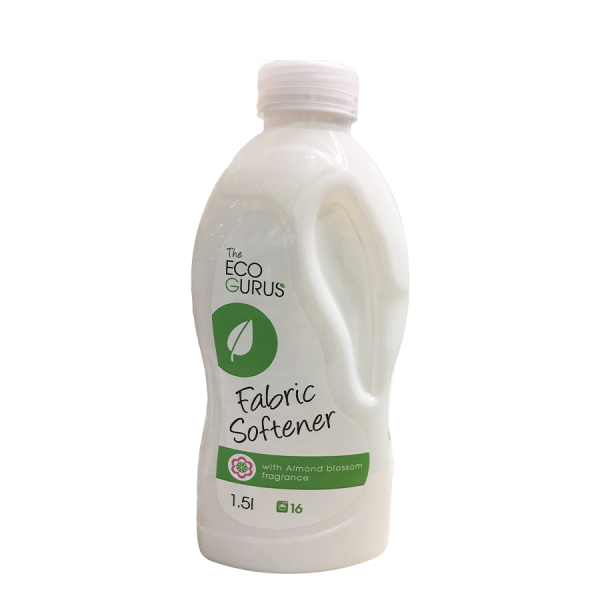 Add the softener into the softener tank of the washing machine or into the water at the end of hand washing clothes to soften the fabric. Suitable for all washing machines with a rinse programme. Ideal also as a supplement at the end of hand washing clothes before rinsing. Softeners dissolve at a low temperature. You can measure the desired amount of softener with a measuring cap.